Tactical backpacks are versatile and heavy-duty type of bags that are designed to provide comprehensive/modular storage support to customers of all categories. These packs are versatile and are more dynamic making them suitable to operate in almost every environment or setting without getting damaged. Although there are many types of these packs available in the market, this guide will lay its focus on the combat sustainment packs. Before we begin, let’s first iron out everything by explaining what we mean by a sustainment pack. A combat sustainment pack is a high-performance piece of tactical gear that’s designed to provide extra support to a person. 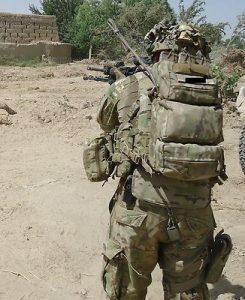 Unlike most other combat packs, combat sustainment packs are intended to complement plate carriers and chest rigs through carrying extra ammunition, bottles of water, pistols and medical gear in case of an emergency. Now that we’ve highlighted some key facts you need to know about combat sustainment packs, this guide will go ahead to review some of the best combat packs available in the market. 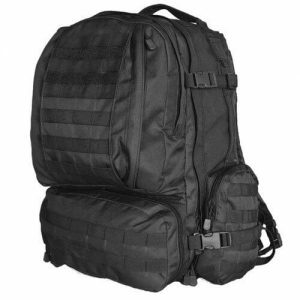 Are you searching for a heavy-duty sustainment pack that’s capable of suiting all your needs? Well, you’re at the right place because this guide will give you a comprehensive overview of everything you need to know about the best packs in the market. The Fox Tactical 3 Day Assault Pack is one of the best packs we reviewed regarding price/quality in 2017. Manufactured by Fox Outdoor Products, this sustainment pack is designed to suit all your needs at a budget price. Made from durable polyester fabric, the Fox Tactical 3 Day Assault Pack is equipped with multiple front and side pockets to offer additional space to store extra accessories. There are two main side pockets in this pack that are designed with heavy-duty zippers to keep them secure when travelling. In addition to that, hikers traveling long distances will benefit from the adjustable heavily padded shoulder straps and kidney pad. Although some customers have complained about the poor stitching of this sustainment pack, I will be somewhat hesitant and recommend this unit to all customers looking for a quality pack. Available at an affordable price, the Fox Tactical 3 Day Assault Pack features multiple compartments that are suited to customers who enjoy hiking, exploring and frequent adventures. 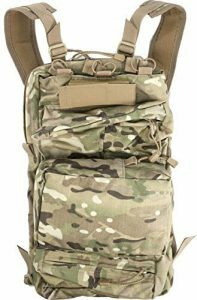 Having been welcomed with a magnificent 4.3/5 star rating from 48 customers, this tactical assault pack is the perfect choice for all customers looking for a budget quality pack. This pack is available in multiple colors, which you can choose from. The multiple accessory pockets make it a perfect fit for all types of customer. The pockets are both in the front and on the sides of the pack. Wide pockets are secured with zippers to keep all your assets safe when traveling. The Fox Tactical 3 Day Assault Pack is designed with padded shoulder straps, a lightweight of 5.2 pounds and sleek dimensions of 12×22×16 inches making it one of the best combat packs to rely on. The seller provides a video showing how you could assemble your backpack. If you own a hydration system, this pack has a hydration hole that you can use. The pack has multiple compartments to store your stuff. The item is available at an affordable price. The padded straps are made for extreme comfort. The backpack is extremely versatile. Next in this guide, we have reviewed the U.S. Army Assault Pack. Stitched with durable polymer fabric, this sustainment pack is the best for people on the go or those who enjoy occasional hiking and hunting activities. According to a majority of customers who have bought and tried this unit, the overall construction and assembly are just outstanding. The U.S. Army Assault Pack is designed with a comfortable contoured shape and an innovative rib configuration to allow users carry more loads without using much effort. Additional molle webbings and multiple pockets/attachments with Velcro closures for safety. All in all, the U.S. Army Assault Pack is one of the best combat packs available in the market. Although there are some minor setbacks, they’re not enough to outweigh the many benefits this pack has to offer. Available with multiple compartments, Velcro/zip closures, padded straps and waterproof polymer fabric, well personally recommend this pack to all customers looking forward to enjoying a cool uninterrupted moment when hiking, fishing or exploring. 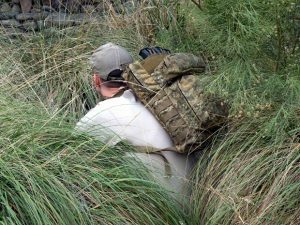 The pack is comfortable and secure, which makes the U.S. Army Assault Pack appear in the list of the best combat packs. It offers comfort and security to the user. The manufacturer has designed this pack with padded shoulder straps, a padded back panel, multiple buckles and Velcro closures in every pocket for enhanced comfort and safety. Another outstanding feature we can’t fail to mention is the design. This pack is designed with a unique rib configuration that allows the back panel to flex around your body when hiking. The “keep cool” feature gives you longer walking hours without feeling tired or pressed by the pack. 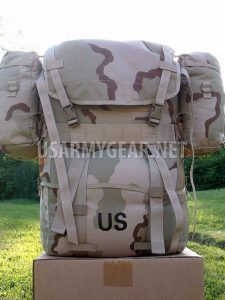 The pack is durable.Unlike most other packs in the market, the U.S. Army Assault Pack is impact resistant and has the capability to carry a maximum weight of 200 pounds without getting damaged. Supports a maximum weight of 200 pounds. Designed with a large space capacity. Versatile and perfect for hiking, hunting, and exploring. Too big for some users to bear. Last in this guide, we reviewed the Tactical Assault Gear (TAG) Combat Sustainment Pack. As one of the smallest packs in this guide, the Tactical Assault Gear Combat Sustainment Pack is commonly known as ares armor combat xii pack. This pack is capable of carrying additional ammo such as 3 extra 5.56 magazines, bottles of water and a medical kit in case of an emergency. According to most customers who’ve purchased and experienced this pack, the small compact design allows you to hang this sustainment pack at the back of any car seat and allow quick access. The molle attachments are perfect while the overall construction of this ares armor combat xii pack is just appealing to every buyer out there. The pack has multiple compartments which maximize storage capacity. This pack is designed with multiple pouches to provide enough space for storage of all your personal assets. The safety features make it a perfect combat pack designed with safety features which include; zippered and Velcro enclosed pouches, padded straps and large compartments for storage of all your personal assets. It has a large capacity feature which is designed with a large main compartment that measures 8.5×15×2 inches. With such measurements, it’s evident that this pack is large and perfect for high-profile missions. The “keep cool” padded backing feature allows ventilation airflow on your back, so you don’t sweat while on the move. The large compartments provide additional space. It comes with velcro closures for safety. The multiple pouches secure extra ammo. What are some of the most inspiring features available with this tactical assault pack? A unique molle sustainment pouch that offers additional space to store extra ammunition. Heavily padded shoulder straps allow these combat packs to be worn for a long time without facing any discomfort. Last but not least, the Tactical Assault Gear Combat Sustainment Pack is one of the best combat packs available in the market. According to the manufacturer, this pack is capable of offering vast space to fit all your personal assets including ammunition and a medical kit. Though new in the market, I will highly recommend all customers to consider purchasing this ares armor combat xii medical pack due to its versatility, uniqueness and ability to keep your accessories safe and sound during tight tactical missions. Go back to read more reviews about backpacks.